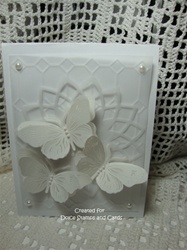 I absolutely love butterfly's, Vellum and all white cards, so adding all 3 favorites into one card was so much fun! I love the look that I created. I used vellum for the whole card except the white card base. 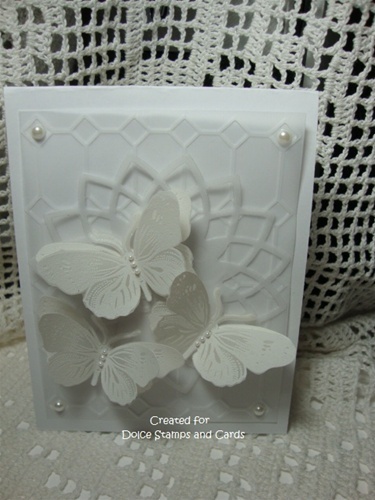 I absolutely love butterfly's, Vellum and all white cards, so adding all 3 favorites into one card was so much fun! I love the look that I created. I used vellum for the whole card except the white card base.